There are some important accommodations that we need to make when the ball is sitting above our feet in a sidehill situation. 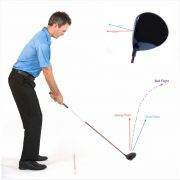 Depending on the club being used and the severity of the slope, the ball will tend to come out to the left, therefore we need to adjust our aim sufficiently to the right. 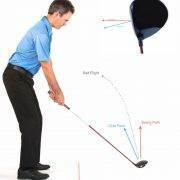 With the club soled level on the ground, the club face is directed down the target line. As the toe of the club comes up in the air, which it would in a sidehill situation, the club face itself points more and more to the left of the target. Practice and experience from different situations will help you determine how far to the left shots will tend to go. Clubs with more loft tend to go further to the left, while clubs with less loft tend to require less compensation in this regard. As an added concern, because shots tend to hook, they will also typically run out more when they hit the ground. You’ll need to consider these variables when planning your shot. 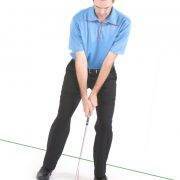 As for set up and stance, because the ball is above your feet, you are effectively closer to the ball. You’ll need to choke down on the club to accommodate for this. Depending on the severity of the slope, I might suggest taking an extra club or two and swinging shorter and with more control. This will increase your chances of making good contact, and help you get the ball online more often. 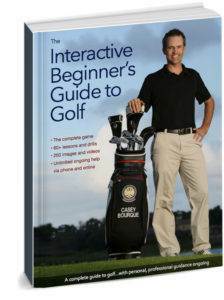 Otherwise, the golf swing is more or less the same. Be sure to take an athletic stance, establish stable footing, and swing the club with control and balance without falling forward or backward. In summary, when the ball is sitting above your feet, your shots will tend to start left and hook. 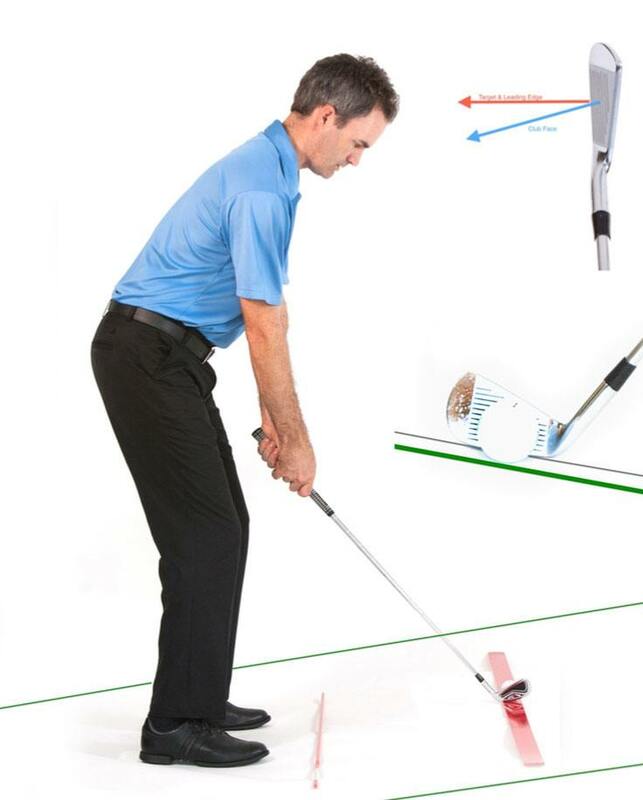 You need to practice these shots and learn to make necessary adjustments in your setup and alignment. The amount of hook you can expect depends on the severity of the slope and the amount of loft on the club you are using. Clubs with more loft will send the ball more to the left, while clubs with less loft will tend to require less compensation. In more severe circumstances, I would suggest taking an extra club or two, swinging shorter and more under control. 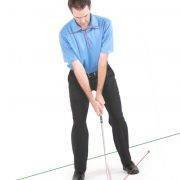 Maintain your good posture throughout the swing, as it’s easy to lose your balance on a sloped surface.